After a busy week at the MLB Winter Meetings, the New York Mets show no signs of slowing down this offseason. 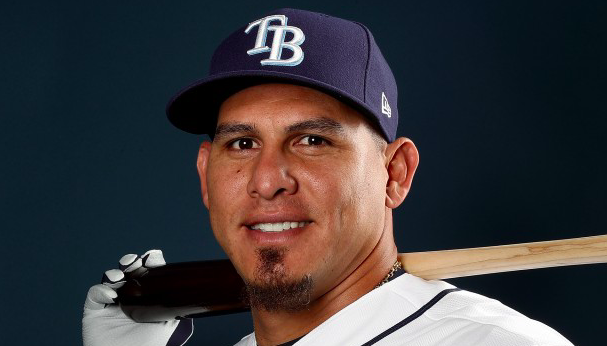 On Sunday, the Mets agreed to terms with catcher Wilson Ramos, filling another one of their needs. The deal is worth $19 million over two years and will become official after Ramos completes a physical. The Mets also hold a $10 million option for the 2021 season. Ramos has had an interesting few years. He looked poised to sign a lucrative contract following the 2016 season. However, that changed when he tore his ACL late in the season. He ended up settling for a two-year pillow contract with the Tampa Bay Rays. Ramos didn’t return until June 2017 and posted solid but unspectacular numbers that season, hitting .260 with a .747 OPS. With the ACL injury behind him, the 31-year old Ramos was much better in 2018. After hitting .297 with 14 home runs with the Rays, the Phillies traded for him at the end of July. He was even better offensively after moving to Philadelphia for the final two months. Between the two stops, Ramos hit .306 with an OPS of .845 in 2018. The Mets are banking that Ramos has at least two more years with that kind of offensive productivity. For most of last week, the Mets were closely linked in trade talks with the Marlins over catcher J.T. Realmuto. However, New York would have had to part with one or more of their core players to make that trade happen. Instead, they went ahead and signed Ramos via free agency. Ramos isn’t as young or the same caliber of player as Realmuto. But he gives the Mets an above-average offensive catcher and a reliable veteran behind the plate. Early indications out of New York are that the Mets plan to make Travis d’Arnaud their backup in 2019. Once a highly-regarded prospect, d’Arnaud has not quite lived up to his offensive promise, save for the 2015 campaign. He’s also been held back by a long series of injuries. In fact, d’Arnaud missed almost the entire 2018 season after he required Tommy John surgery. Nevertheless, the Mets tendered d’Arnaud a contract for 2019 and intend to use him behind Ramos. That could leave Kevin Plawecki, who started 71 games for the Mets last year, as the odd man out. Plawecki has never lived up to his offensive potential either. He’s also struggled to stop opposing base stealers. Plawecki could now become a trade chip with the Mets also having Tomas Nido as minor league depth. In the end, signing Ramos was perhaps the best move the Mets have made this offseason. He wasn’t the best catcher available, but he may be the most cost-effective. Without spending a ton of money or giving up young talent, the Mets have solved their catching dilemma in a wise fashion. With Ramos, the Mets should be able to turn a weakness in 2018 into a strength in 2019.